Drawing on sociocultural theories of learning, this book examines how the everyday language practices and cultural funds of knowledge of youth from non-dominant or minoritized groups can be used as center points for classroom learning in ways that help all students both to sustain and expand their cultural and linguistic repertoires while developing skills that are valued in formal schooling. 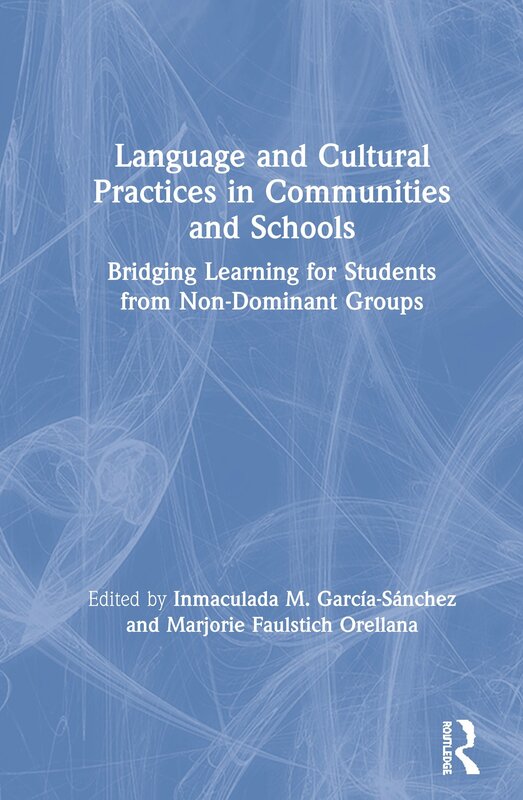 Bringing together a group of ethnographically grounded scholars working in diverse local contexts, this volume　identifies how these language practices and cultural funds of knowledge can be used as generative points of continuity and productively expanded upon in schools for successful and inclusive learning. Ideal for students and researchers in teaching, learning, language education, literacy, and multicultural education, as well as teachers at all stages of their career, this book contributes to research on culturally and linguistically sustaining practices by offering original teaching methods and a range of ways of connecting cultural competencies to learning across subject matters and disciplines. Afterword – Don’t Believe the Hype: Reality Rules! Inmaculada M. García-Sánchez is Associate Professor of Anthropology at Temple University. Marjorie Faulstich Orellana is Professor of Urban Schooling in the Graduate School of Education and Information Studies at UCLA.